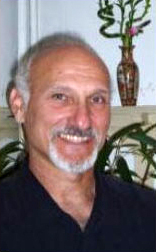 Joseph is a licensed acupuncturist in the State of NH. He is a graduate of the Jung Tao School of Classical Chinese Medicine, in North Carolina, where he also completed his clinical internship. He is nationally certified by the National Certification Commission for Acupuncture and Oriental Medicine (NCCAOM), as well as trained and certified by the National Acupuncture Detoxification Association (NADA). Joseph is a native of Dover, NH and a 1974 graduate of UNH in Physical Education. His curiosity and talents as an athlete and teacher have taken him to many places in the US and Europe. In seeking to test his personal and physical limits and his understanding of the world, Joseph was drawn to study Chinese martial arts and philosophy. Joseph found his passion in the “soft” or internal energetic aspects of Taiji. He has studied this martial art for the past 30 years, and worked with senior students of William C. C. Chen, Chen Man-Ch’ing and World Martial Arts Champion, Peter Ralston. Most recently, for the past year he has expanded his study to Yin Style Bagua and Tangible Acupuncture with Andrew Nugent-Head in Asheville N.C. and plans to continue with these studies for the foreseeable future. This practice has helped to hone his skill as a practitioner and enabled a greater observable effect in treatment. It is a much more hands on approach to moving ones energies and thus a more tangible result. Joseph hopes that he can support the health of the community – one individual at a time – by cultivating an understanding of the benefits of Chinese medicine, and the responsibility we each have to maintain our health through lifestyle choices.